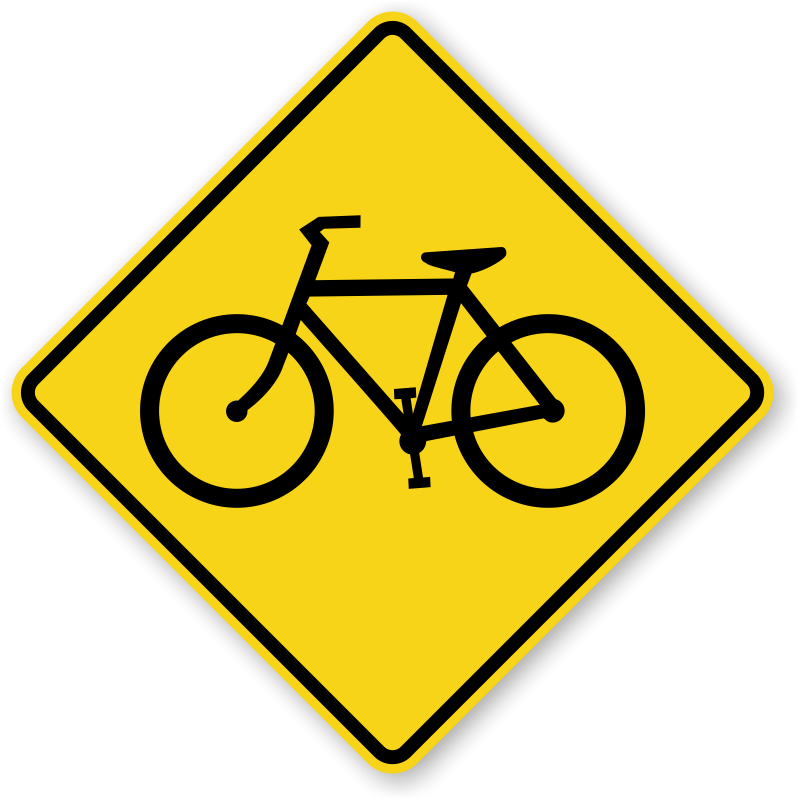 The City of Elkhart, the City of Goshen, and the Michiana Area Council of Governments have received a grant from the Indiana State Department of Health to prepare a bicycle and pedestrian master plan. This initiative will help to coordinate planning activities for both cities to improve walking and bicycling in the region. The public is encouraged to share their thoughts in person and online during this project which will run through June 30, 2017. All interested parties are encouraged to participate in informal public meetings which will be setting up at two locations on Saturday, April 29, 2017. Join us at the Goshen Farmer’s Market (212 W Washington St #1, Goshen, IN) on Saturday, April29 from 9 a.m. to 11 a.m., and the Elkhart Environmental Center (1717 E. Lusher Ave., Elkhart, IN) on Saturday, April 29 from 11 a.m. to 1 p.m. You are invited share your initial thoughts and review research that has been conducted to date. This entry was posted in Meetings, News & Events on April 25, 2017 by Sharon. 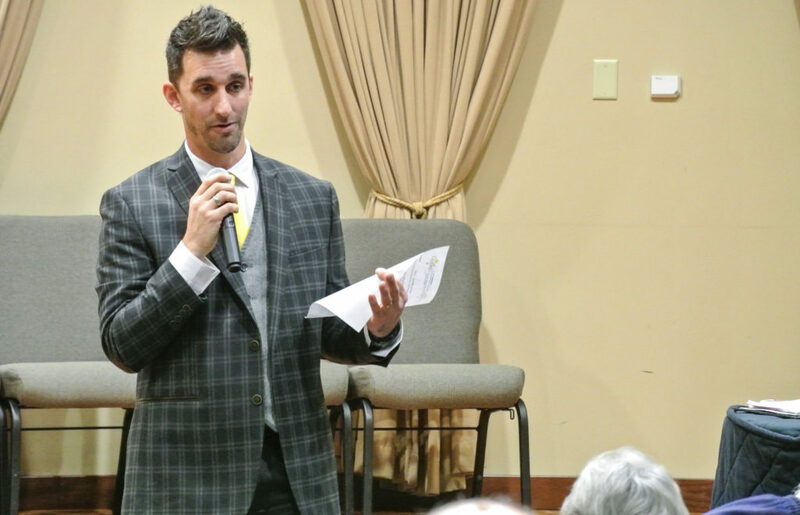 This year Goshen’s Town Meeting will be held the last week of January. Residents are welcome and encouraged to attend. Monday, January 23 at 10 a.m.
Tuesday, January 24 at 6 p.m. If you have any questions contact City Hall at switchboard@goshencity.com or 533.8621. This entry was posted in Meetings, News & Events on January 18, 2017 by Sharon. The Goshen Dam Dredging Advisory Board will have a meeting open to the public on Friday, December 9th at 11 a.m. The meeting will be held in the Goshen Municipal Annex Building Conference Room, 204 E. Jefferson St, Goshen, IN 46528. This entry was posted in Meetings on December 8, 2016 by Sharon. The November Community Relations Commission meeting has been rescheduled from it’s regular meeting time of Tuesday, Nov. 8, to Monday, Nov. 14 at 7 p.m. in City Hall. The CRC regularly meets the second Tuesday of every month at 7 p.m. in City Hall. The meetings are open to the public. This entry was posted in Meetings, News & Events on November 7, 2016 by Sharon. A public meeting has been scheduled to discuss the Keystone expansion and proposed utility improvements along County Road 40 and U.S. 33. Representatives from the City of Goshen, Keystone RV and JPR Engineering & Surveying will be hosting the meeting. 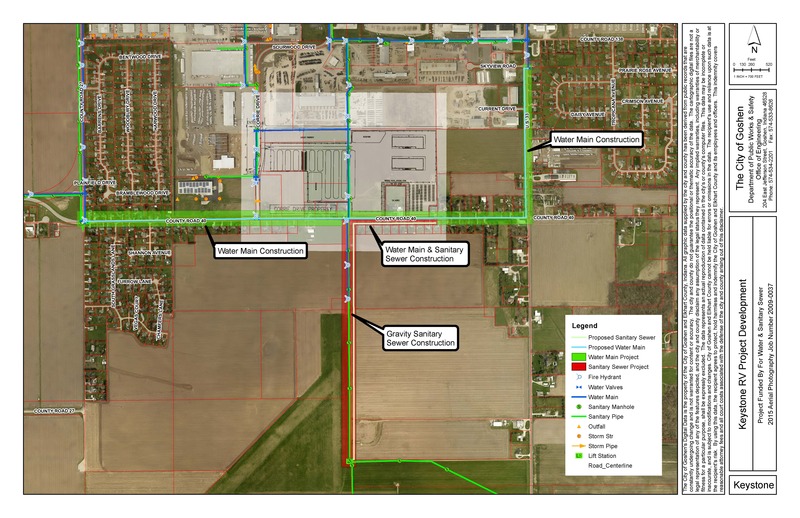 You can also find a project corridor map on the Goshen City website at www.goshenindiana.org under News & Updates. When: Thursday, November 3, at 6 p.m. Please feel free to contact the Goshen Engineering Department at 534-2201 with any questions or concerns. This entry was posted in Meetings, News & Events on October 26, 2016 by Sharon. Date and Time of Meeting: Tuesday, September 27, 2016 at 4:00 p.m.
Pursuant to the provisions of the Open Door Law and Indiana Code 5 14 1.5 5, the Goshen Redevelopment Commission will be holding a public meeting on September 27, 2016 at 4:00 p.m. The meeting will be held in the Annex Conference Room at the City of Goshen Annex Building, 204 E. Jefferson Street, Goshen, Indiana. This entry was posted in Meetings, Public Notice on September 16, 2016 by becky. BOARD OF PUBLIC WORKS & SAFETY MEETING FOR SEPTEMBER 2 RESCHEDULED. 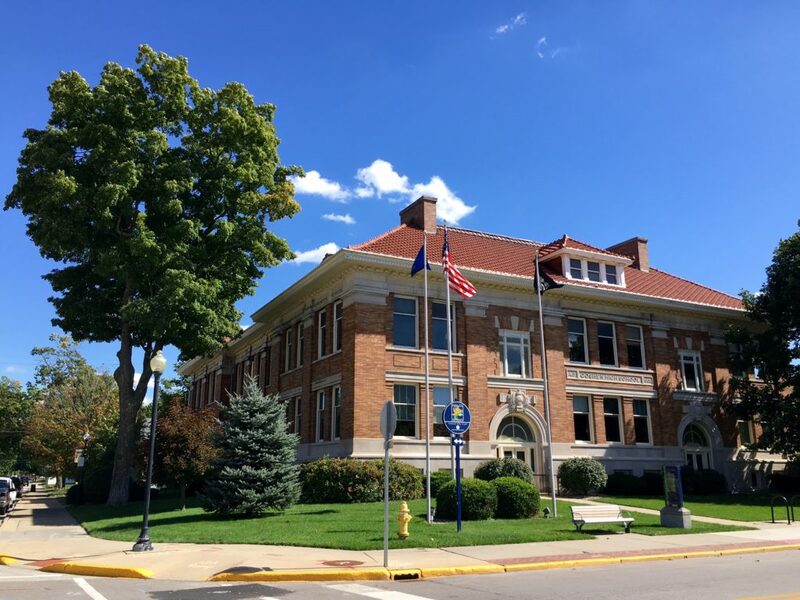 Due to the lack of a quorum, the Board of Public Works & Safety has been rescheduled to Tuesday, September 6 at 10:00 a.m. in the Council Chambers, 111 East Jefferson Street from Friday, September 2 at 11 a.m. The regular meeting schedule will resume on Monday, September 12. This entry was posted in Meetings, Public Notice on August 16, 2016 by becky. Mayor Jeremy Stutsman announced that US. 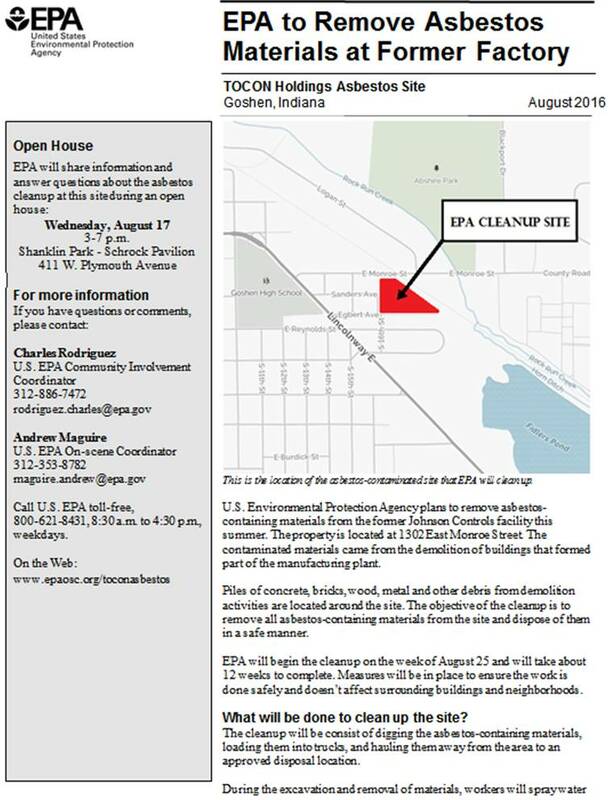 Environmental Protection Agency (EPA) officials will be returning to Goshen to meet with residents about the removal of asbestos at the former Johnson Controls site, 1302 E. Monroe St.
“The EPA has been extremely proactive in dealing with the contamination found at this site” said Mayor Stutsman. “We have asked them to keep the community informed about the clean-up process and they have agreed to hold an open house to answer questions. The goal for the open house is to be completely transparent so the public is fully informed about clean-up activities. Mayor Stutsman contacted the EPA in February of this year, as soon he became aware of environmental tests indicating the presence of asbestos. “I asked the EPA to take immediate steps to secure the site and protect our residents from asbestos exposure. We are very appreciative of the work the EPA is doing to keep our community safe”, commented Mayor Stutsman. The property is owned by TOCON Holdings, LLC. The company purchased the former Johnson Controls manufacturing facility and demolished a number of manufacturing buildings. Environmental concerns surfaced when an independent environmental report revealed the presence of asbestos contamination in the demolition debris left on the site by a contractor hired by TOCON Holdings. Subsequent testing from the EPA confirmed the contamination, leading to emergency measures by the EPA to secure the site and prevent asbestos exposure. The next step in the process will be to remove the contaminated debris from the site and safely dispose of the materials. 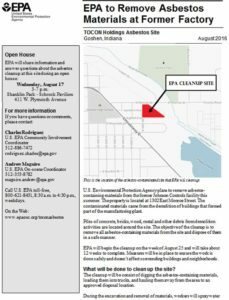 EPA contractors are expected to be on-site beginning August 25 and will complete the work in approximately twelve weeks. This entry was posted in Meetings, News & Events on August 15, 2016 by becky. JULY 5 CITY COUNCIL MEETING CANCELLED. The City Council meeting scheduled for July 5, 2016 has been cancelled due to a lack of agenda items. The next Council meeting is scheduled for July 19, 2016. This entry was posted in Meetings, Public Notice on June 30, 2016 by becky. Due to a scheduling glitch with Vibrant Communities: Summit on the Future, the June 7, 2016, Common Council meeting will begin at 8:00 p.m. instead of 7:00 p.m. at 111 W. Jefferson Street, City Court/Common Council Room. The June 21 Common Council meeting will start at the regular time of 7:00 p.m. This entry was posted in Meetings, Public Notice on June 2, 2016 by becky.